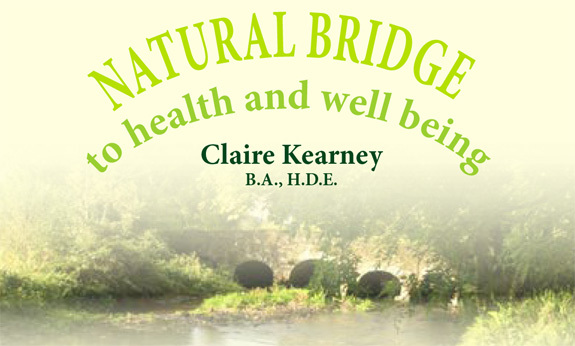 Claire Kearney has access to your personal data. This privacy notice provides information about the ways in which Claire Kearney, stores, and shares or keeps personal information provided by our customers. Claire Kearney fully respects your right to privacy and actively seeks to preserve the privacy rights of those who share information on this site. Claire Kearney will not collect any personal information about you on this website without your permission save in cases where it’s required by law to do so (e.g. the investigation of a criminal offence or a breach of policies, procedures or guidelines). Any personal information which you volunteer to Claire Kearney will be treated with the highest standards of security and confidentiality, in accordance with Data Protection. Naturally, if you are not happy with this Website Privacy Statement you should not use this website. By visiting this website, you are accepting the terms of this Website Privacy Statement. Any external links to other websites are clearly identifiable as such, and we are not responsible for the content or the privacy statements of these other websites. We do not share any individual’s personal data for third party marketing purposes. We do not engage in cross-marketing or link-referral programs. We do not send unsolicited communications for marketing purposes. The content of our site is delivered with utmost diligence and care possible. However, Claire Kearney cannot guarantee the accuracy, completeness, integrity and actuality of the content. In cases of declaration of violation of rights or any offensive detail it deems inappropriate, Claire Kearney will delete the concerned content at the soonest possible time. Claire Kearney only collects any personal data about you which you volunteer (for example by submitting an advert, emailing the company, etc.). Any information, which you provide in this way, is not made available to any third party – other than those working with Claire Kearney only in line with the purpose for which you provided it. Claire Kearney does not collect any personal data about you on its websites, apart from information which you volunteer (for example by submitting an advert, emailing the company, etc.). Any information, which you provide in this way, is not made available to any third party – other than those working with Claire Kearney on normal business and is used by Claire Kearney only in line with the purpose for which you provided it. Occasionally for the purposes of our online services we must pass some cookie information to third parties. These cookies may persist after your browser session has ended. This information will not include any of your personal data or information from which you will be readily identifiable. This information may be used for evaluating your use of the website, compiling reports on website activity for Claire Kearney and providing other services relating to website activity and internet usage. It is stored and used in the aggregate only and is not used to obtain personal data or to contact you personally, but instead to improve website services. Claire Kearney actively seeks to preserve user privacy in any interaction with third parties. Technical details in connection with visits to our websites may be logged by our internet service provider for accounting and auditing purposes. This technical information will be used only for statistical and other administrative purposes. You should note that technical details, which Claire Kearney cannot associate with any identifiable individual, do not constitute `personal data’ for the purposes of the Data Protection Act.